Having problems at home with your WLAN connection? 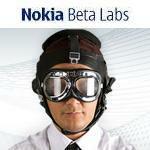 Now you can analyzer the problem and also solve them using the Nokia connectivity analyzer. This application provides you 3 different kinds of utility to diagnose and analyze WLAN and packet data connection. Connectivity Diagnostic Test: When you select this test, the application connects to a selected access point and performs a diagnostic test. 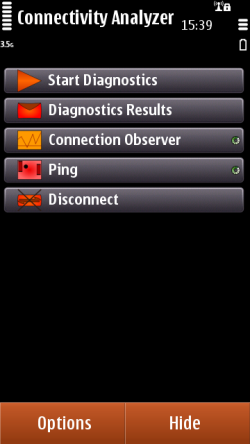 If any error is detected in the connectivity then you are informed about it with the troubleshooting tips. 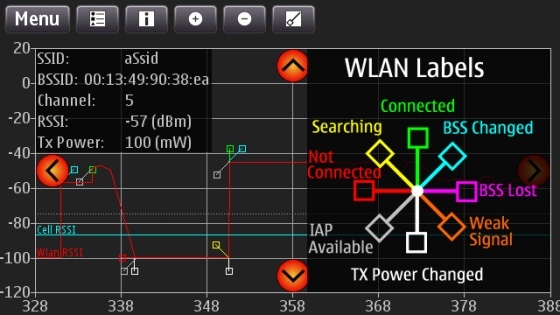 Connection Observer: The graphical presentation of WLAN and packet data connectivity and events related to it helps you to analyze WLAN networks and how roaming is performed. The data can be stored into a .csv file for further analysis. 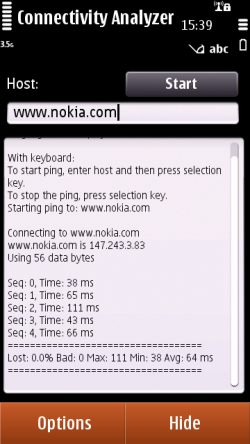 The developers can also capture the IP traffic of the device into a pcap file. Ping utility : This utility helps you to perform ICMP-Echo ping tests to a given hostname or IP address. 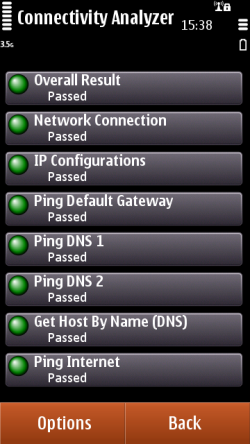 With this feature it is easy to test IP connection to a selected destination.